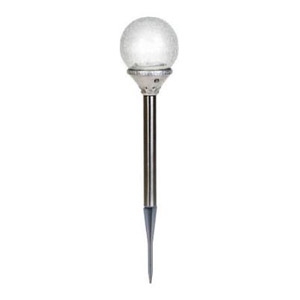 Utilitarian and stylish, this solar-powered, all-season stainless steel and glass sphere light will add a touch of style as it lights your landscape. Swich between a natural white LED light and a color-changing LED. Includes 1 "AA" Ni-Mh rechargeable battery.